There is no question that, generally speaking, it is crucial to reduce your agreements to writing, particularly when it comes to real estate. New York's Statute of Frauds, which is codified into law at Section 5-701 of the General Obligations Law, mandates that agreements pertaining to the sale of real estate must be reduced to writing in order to be enforceable. There is an important, albeit rare, execption to this rule, however: when the parties are entering into a joint venture, rather than sale, of the real estate. "The statute of frauds does not render void oral joint venture agreements to deal in real property, as the interest of each joint venturer in a joint venture is deemed personalty (see Mattikow v Sudarsky, 248 NY 404, 406-407 ; Fairchild v Fairchild, 64 NY 471, 479 ; Plumitallo v Hudson Atl. Land Co., LLC, 74 AD3d 1038 ; Walsh v Rechler, 151 AD2d 473 )." Therefore, as a practical matter, even if you fail to reduce to writing an agreement regarding property, all is not necessarily lost; if you can demonstrate, as the plaintiff was able to do in Malaty v. Malaty, that you weren't seeking to acquire an interest in real property, but were asserting your interest in a joint venture's income and assets, you rights may still be protected under New York law. (See, e.g., Pisciotto v Dries, 306 AD2d 262, 263 ; Johnson v Johnson, 111 AD2d 1005, 1006 ; Liffiton v DiBlasi, 170 AD2d 994 ). 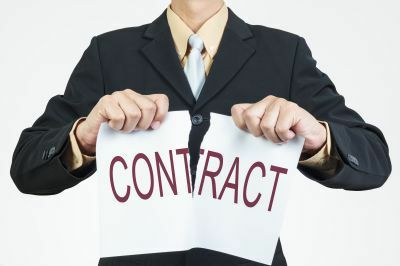 1 Comments to "Oral Contracts for Real Estate Can Be Enforceable - Sometimes"
In an age of cell phones and selfies, it would seem natural that alternates to written contracts would be enforceable. Post a Comment to "Oral Contracts for Real Estate Can Be Enforceable - Sometimes"